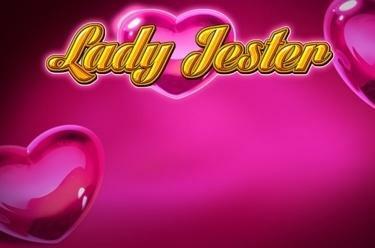 Play Lady Jester online for free now! 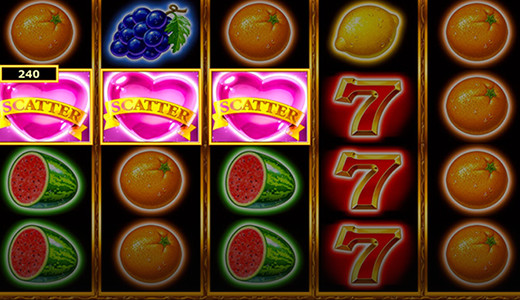 The name's the game with Lady Jester: A female joker is the protagonist in this fruit slot with 5 reels and up to 40 pay lines. The heart symbol scores the biggest winnings for you. The heart is the Scatter symbol: 15 free games are triggered by 3 to 5 Scatters in any position on the reels. During the free games you witness Lady Jester in full splendour: If the Lady Jester symbol appears following a spin it occupies all positions of the revelant reel and is fixed for the duration of the spin. She acts a Wild symbol by substituting for all symbols except for the Scatter symbol and increases your winning opportunities. 15 further free games are triggered by 3, 4 or 5 Scatters landing in any position on the reels. 5 large Lady Jester symbols appear on the reels in the free games? Congratulations, you have won the jackpot! If you have staked 100% you win the entire jackpot; if you have bet less you receive the relevant share of the jackpot amount. Your aim in Lady Jester is to line up 5 matching symbols along one of the win lines that run from left to right. Roll up, roll up! That's something you don't see everyday, so come in and be amazed! We present a superwoman, a curiosity, a sensation - Lady Jester! The female joker is not just a pretty face but also pulls the strings of this fruit circus on the reels. To win her heart is a challenge but if you succeed she takes you to the free games with her four twin sisters and a jackpot awaiting you!